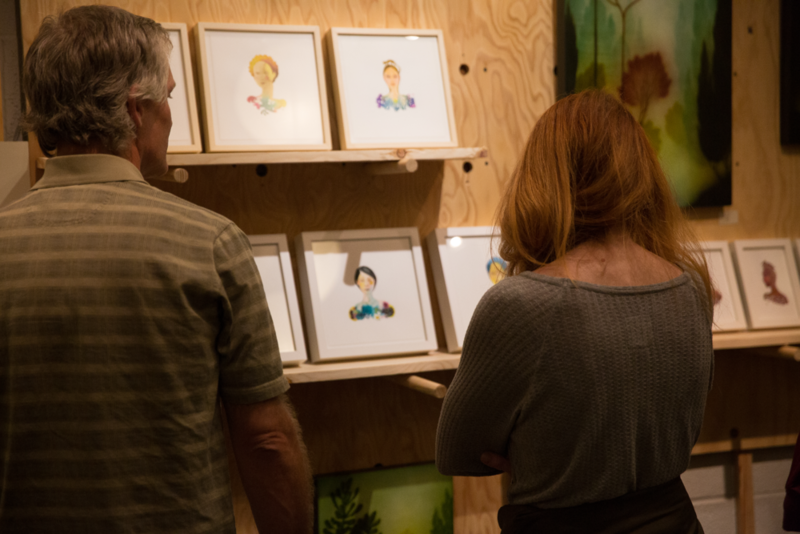 Our artBURST programming is focused on strengthening the arts community in our neighborhood and using art as a platform for building community connections. 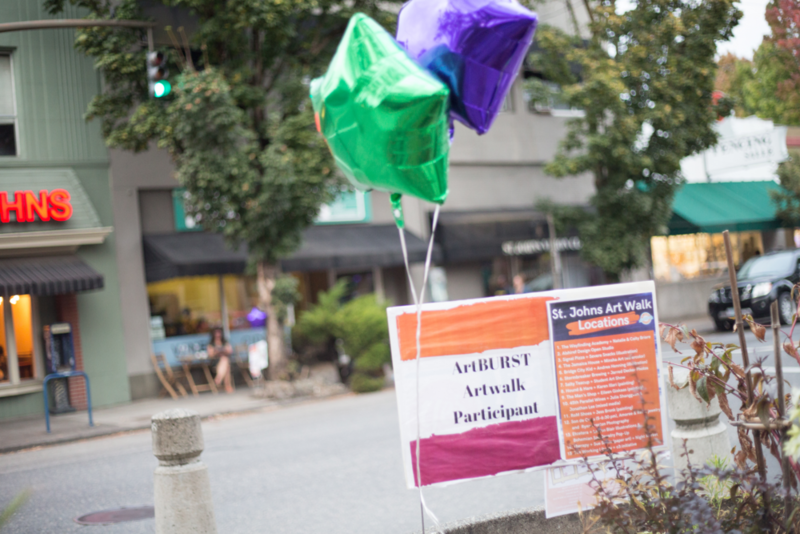 Through the artBURST programming, we host a quarterly Art Walk in St. Johns, the Art Constitutional at the Farmers Market and creative placemaking initiatives including public art projects. Read on to find out more about each of these projects! North Portland, the “Peninsula”, and St. Johns in particular, is home to talented artists and a burgeoning art scene, and it’s time to celebrate the creative spirit of the neighborhood! Our Art Walk series happens once per quarter, and is focused in the downtown business district of St. Johns. Our team helps curate this event by pairing artists with local businesses to showcase and sell their work. Our next Art Walk is happening June 21st, 2019 from 5 pm to 8 pm. Applications are now open for artists who are interested in showing their work during the June Art Walk. Applications close May 15th. Selected artists will be notified by May 21st. Click here for all the March 2019 event details and to see the list of participating artists & locations! 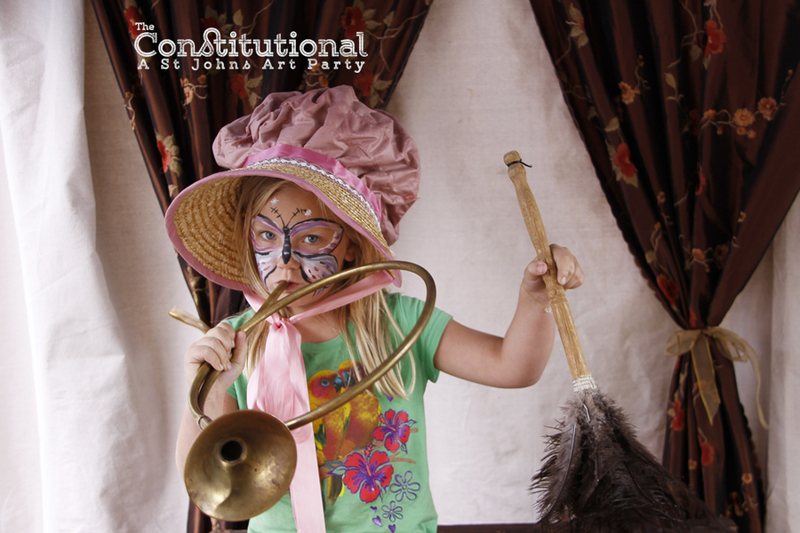 The Art Constitutional began as a bi-annual craft fair and hands on arts festival in collaboration with the St. Johns Farmers Market. 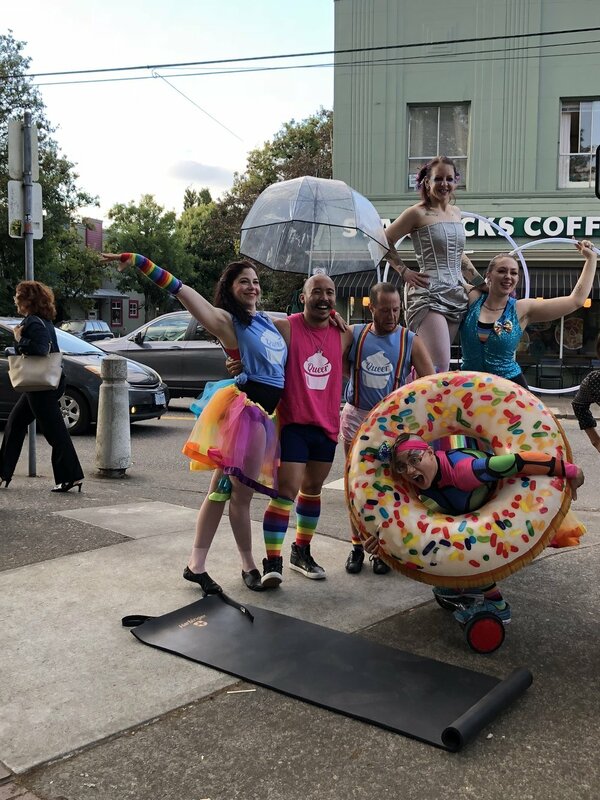 Featuring local makers, musical and dance performances and interactive art, the event was so popular that in the 2019, we will be expanding our farmers market offerings to have arts and crafts vendors during the entire season, rather than just twice a year! If you’re a local artist who is interested in having a booth at the 2019 St. Johns Farmers Market, click here to learn how to apply! Applications close February 22nd. We have been exploring the ways that art and culture strengthen a local economy through interactive art and storytelling projects in the St. Johns neighborhood. Click here to read about the projects that have been a part of the creative placemaking initiative through SJCO.